While the actor might have considered himself lucky to have avoided a potential 16 felony counts for allegedly staging a racist and homophobic attack against himself earlier in the year in order to boost his career, his commitment to maintaining his innocence has now led him to refuse to pay the city for the money it wasted investigating the non-existent crime. After the courts dropped the charges on Tuesday last week, former Mayor Rahm Emanuel personally sent the 36-year old actor the bill for every penny of the $130,106.15 spent on the investigation, giving him 7 days to pay up. Although Newsweek reported in 2016 that Smollett was pulling in about $20,000 per episode of Empire, he missed the court’s Thursday deadline for repayment, prompting a civil complaint. The City of Chicago’s law department said it will “pursue the full measure of damages allowed… in the near future.” While civil litigation will give prosecutors a go at proving Smollett’s guilt in orchestrating the attack, the court costs associated with the litigation may end up costing the state way more than they could even hope to win from the proceedings. If anyone suspected that newly-elected Chicago Mayor Lori Lightfoot, an openly-gay black woman, would be more lenient on the issue, she proved she was just as committed as her predecessor on Wednesday, when she vowed to investigate the decision to drop the charges against Smollett. “We cannot create the perception that if you’re rich or famous or both that you got one set of justice and for everybody else, it’s something much harsher,” she said in a press statement. 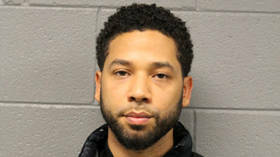 Prosecutors still believe Smollett to be guilty of staging the attack, despite the decision not to charge him. President Donald Trump called the decision an “embarrassment to the nation,” saying that the FBI and DOJ would further investigate the court’s unexpected decision. Illinois prosecutor Joe Magats has tried to explain the dropping of charges by saying the decision was made after Smollett agreed to both community service and forfeiting his $10,000 bond payment.